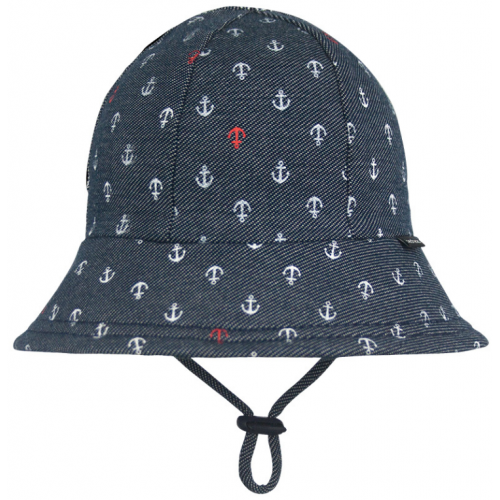 The Bedhead Baby Bucket hat is a fabulous baby sun hat featuring a soft flexible brim and rated is UPF50+ Excellent Protection! 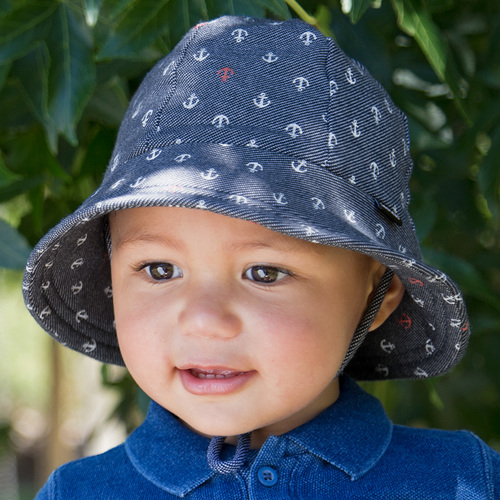 Our Baby Buckets have a soft flexible brim that introduces babies and toddlers to an angled brim that frames their line of sight. 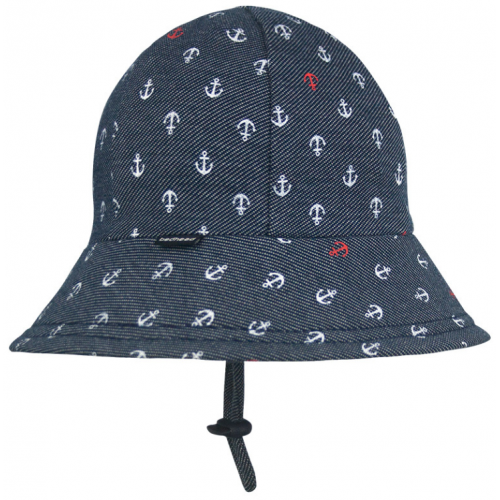 All Bedhead hats are made from our super-stretchy and lightweight cotton jersey and come with a stretchy chin strap (if required, you can easily remove this without compromising the quality of the hat). 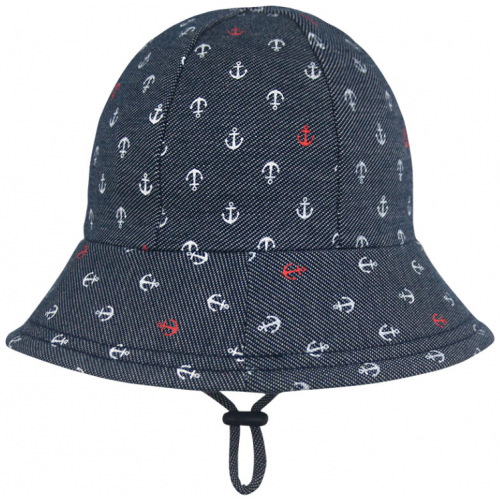 ‘Anchor’ is a limited-edition design in our 2018 Spring/Summer collection and is also available in Legionnaire, Ponytail Bucket & Classic Bucket styles. Step 3: Purchase the size closest to your childs measurement. 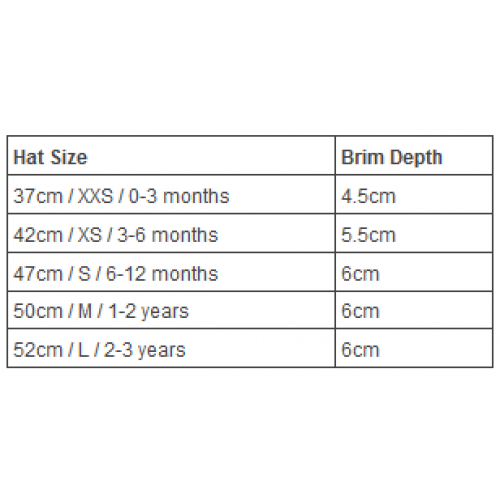 Our hats are very stretchy and will grow up to 4cm. 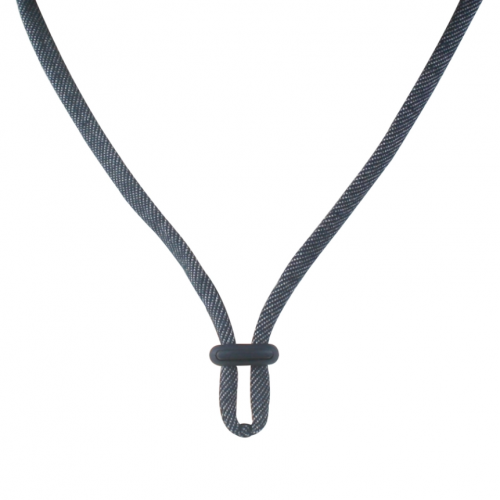 For Example: The child measures 41cms, you will need the 42cm size that will stretch another 4cms up to 46cms - giving plenty of future wear. Purchasing the next size up would be too large and block the childs vision.